Howdy ! Great to hear that there would be another popup from the lovely gals of Sadie Rose at Nylon Coffee Roasters on next Sunday, October 14. 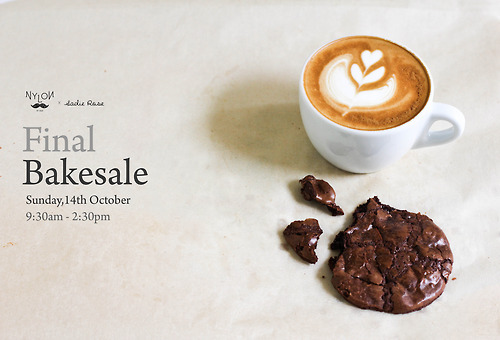 This would be the LAST bakesale since the space next to Nylon was taken up.